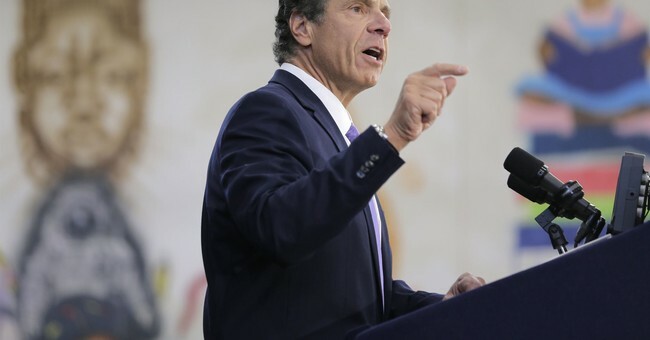 The battle for dumbest Cuomo appears to be escalating dramatically this week. The pandering is pathetic, but America was never great? Are you kidding me? This perfectly captures how liberals feel about America, and why it’s refreshing that for the first time in nearly a decade we have a cheerleader for the country in the Oval Office; George W. Bush was the same way when he was in office. So, when scores of volunteers cleaned up the debris around ground zero after the 9/11 terror attacks, wept for the fallen, and came together as a nation to show that no act of radical Islamic terrorism could splinter us, we weren’t great. When our forces stormed Normandy and drove the Nazis across Europe in the name of freedom and liberty, America was not great? When America continually clinches the top spot in which nation is the most charitable, that’s not great? In the minds of liberals, we’re living on the verge of the apocalypse. Why? It’s because their side lost the 2016 election. You guys lost. Get over it. For the rest of us, just because you lose doesn’t meant we’re in the throes of a constitutional crisis, you petulant, condescending cancers of society. With the economy growing, and paychecks rising, things are pretty great. Three million jobs created, the highest consumer and small business confidence ratings in years, and the largest worker pay increase in a decade. Over three million workers from working families got a bonus check averaging $1,000 and over 250 companies have benefitted from the Trump tax cuts. Unemployment is at an 18-year low; black unemployment hit historic lows. Three words, folks: Keep America Great!